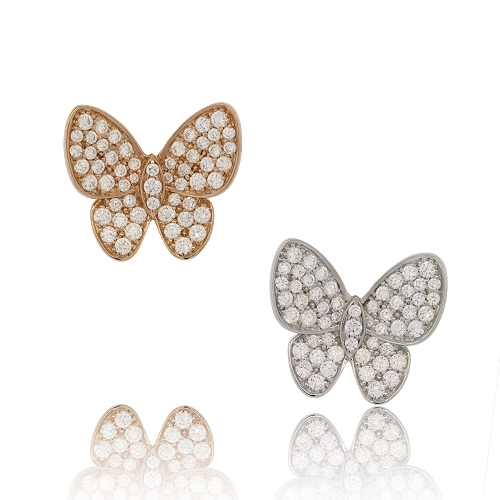 Butterfly earrings one in white gold & one in rose gold set with brilliant white & champagne diamonds mounted in 18kt gold. Diamonds approx. 1.37ct. Earrings .6"